Beware Resale companies offering to sell timeshare then pitch to buy into a holiday club. One of the problems facing the timeshare industry and timeshare consumers has been the activities of a number of companies who preyed on timeshare owners offering them false hope of selling their timeshare property for unrealistically high prices. 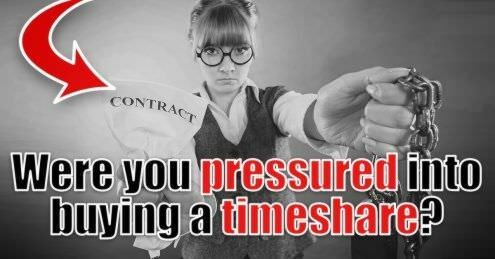 Many implied, or even stated, they had a buyer already waiting to purchase the timeshare and induced the timeshare owner to travel to a meeting (maybe in the UK but often elsewhere in Europe) to receive “an offer”, often from a so-called corporate client. The information given was confusing, misleading, did not honestly represent the service available from the company and, in some cases, was dishonest and fraudulent. This practice is well known within the industry, consumer bodies, UK Government departments such as the Office of Fair Trading (OFT) and the department for Business Innovation and Skills (BIS), and the wider European Parliament. New Regulations put in place by EU Member States implemented EU Directive 2008/122/EC making these practices illegal throughout Europe. When owners arrived at the meeting there was no genuine purchaser for their product, but instead they were subjected to a persuasive and often aggressive sales presentation to purchase a new product. This was not the reason the owner was given for attending the meeting and the invitation was therefore fraudulent. The product was often a Holiday Club or Travel Membership Club for which there was little consumer protection and no cooling-off period prior to implementation of EU Directive 2008/122/EC. In general terms, if you were invited to a meeting to sell your timeshare you should not have been subjected to an aggressive presentation to buy something instead. As a further inducement timeshare owners were often enticed into a cash-back or reclaim certificate scheme promising a generous return in 3 or 4 years. These schemes either fail to pay out at all or only pay out a tiny percentage of the amount predicted, and some companies have gone into liquidation before paying out. There was often an ‘offer’ to take over the timeshare week/points but frequently this failed to take place. The consumer paid several thousand pounds for a new product they didn’t want and remained the owner of the timeshare product they wanted to sell, and still liable for the maintenance fees. If you are in this position you must make a fundamental decision whether to continue with the company (often having to pay a considerable balance remaining on the contract), or to complain to the company and fight to have your money returned. If you have only paid a deposit to the company you should give serious consideration to whether you are willing to pay any further money to a company who enticed you to the meeting under false pretences in the first place. If you do not pay the balance the company will chase you for payment and may become aggressive and threatening. If they threaten legal action it is likely to be an empty threat, but you should speak to a legal professional if you are concerned. If the company has your credit/debit card details you should contact your credit card company or bank for their advice on whether it is necessary to cancel your card. You should read very carefully any documentation they have sent to you following the initial contact and anything given to you at the presentation where you purchased the new product. Check to see what it actually states rather than what they may have said when they initially contacted you by telephone and at the meeting. You can write to the company expressing your concern and dissatisfaction, especially if you feel you have been misled and the principle reason you attended the meeting has not been delivered. Keep copies of everything they send to you and anything you send to them, and use registered/recorded delivery (keeping the receipts). There is a limit to the usefulness of repeated telephone calls because it is difficult to prove what has been said and even if you record calls there are very strict rules about using any recording as evidence. You can ask for your money to be refunded because they invited you. If you paid by credit card you can contact your credit card company and advise them of the situation and that the company misrepresented the product to you, assured you a purchaser was waiting, and therefore took your payment under false pretences. It is also likely that any written contract paperwork you received will bear little resemblance to the discussion you had with them when they telephoned you and invited you to the meeting. This is fraudulent and you should report this to your credit card company. You have up to 6 years to make a claim. If you paid on a visa debit card there is less well known protection under the VISA operating rules, but you have only 120 days to make a claim starting from the time you became concerned about your contract. You should contact your bank as soon as possible for assistance under the ‘charge-back’ facility. 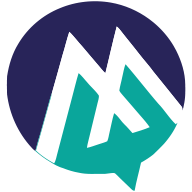 You can contact Mercantile Claims to seek advice on the situation and the possibilities available to you depending on whether you have only paid a deposit or all of the money, and to consider action against the company. You can contact Trading Standards, the Office of Fair Trading, The department of Business Enterprise and Regulatory Reform (BERR) and the UK European Consumer Centre (ECC) to inform them of the activities of the companies involved. They may already know but it will reaffirm that this is still a real and current problem. You can complain to the highest authority in the location where you purchased, to the appropriate foreign Embassy in the UK and to appropriate country’s Tourist Board to complain about the activities of the companies. You can complain to the police in the UK and in the country where you purchased. If you can support your complaint with verifiable facts you can contact reputable media bodies to detail your situation and to bring attention to the companies involved. You can tell the companies you will be doing the above if they do not refund the money you paid. For any further information please contact Mercantile Claims Consumer Helpline at: 0800 470 3900 or try our online compensation calculator to see if you qualify.